Helicopter vs. Wind Farm – Mountain or molehill? 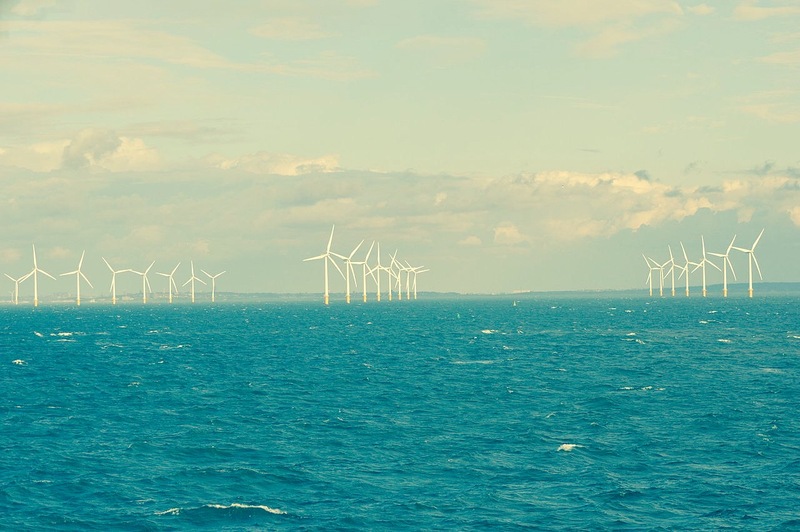 Robert Llewellyn has produced another great Fully Charged Show episode: More Massive Wind, which focuses on the Burbo Bank offshore wind farm expansion that is off the coast of Liverpool in the United Kingdom. DONG, the owners of the wind farm, offered the Fully Charged Show team a helicopter tour to show off the 32 massive Vestas V164 8MW turbines that have been installed as part of the 256 MW wind farm expansion. As mentioned in the video, these turbines stand taller than the 180m London ‘ Gherkin ‘ building and have a swept area larger than that of the London Eye. The use of a helicopter for the episode was, however, criticised by some viewers that implied that the benefits of the wind farm were undone through the use of a helicopter. Helicopters do burn fossil fuels and therefore produce greenhouse gas emissions but how much and how does this compare with the greenhouse gas savings that the wind farm generates compared to the UK grid? Are we talking a mountain or a molehill? Let’s quickly run the numbers and see how they measure up. What type of helicopter were they flying in? How much fuel did the helicopter consume? How much electricity is produced by the wind farm extension? What is the greenhouse intensity of UK grid electricity? What are the embodied emissions of the wind farm? How do the greenhouse gas emissions of the wind farm compare to the UK grid? Let’s start with an easy question first. From the show’s Instagram account you can see that the team flew in an AGUSTA A109 helicopter. This is an Italian made, twin-engine, eight-seat, multi-purpose helicopter commonly used for commercial and military work. How much fuel did the helicopter consume during the flight? An AGUSTA A109 helicopter consumes on average 240 litres of jet fuel per hour. Based on the helicopters maximum cruising speed of 285 kph it could comfortably travel the 30 km from the airport in Liverpool to the wind farm in less than ten minutes. Let’s assume that they flew around the wind farm for 40 minutes giving a total flight time of one hour. Based on these assumptions the helicopter would consume about 240 litres all up. Using emission factors to include the extraction, refining, and combustion of the aviation fuel the carbon footprint works out to be around 650 kg CO2e. How much electricity is produced by the Burbo Bank wind farm extension? At full capacity, the Burbo Bank wind farm extension produces enough electricity to charge a Tesla Model 3 every single second. Each of the 32 turbines is rated at 8 MW, or 8000 kW, which over an hour could produce 256 thousand kWh. This also works out to be 4260 kWh per minute. However, the wind farm doesn’t always operate at full nameplate capacity. The ratio of the actual energy generated compared to the rating at full output is known as the capacity factor. The capacity factor of the wind farm extension isn’t known yet as it was only commissioned in April 2017, however, we do know the capacity factor for the original section of the Burbo Bank wind farm which has been 32.2%. Based on this capacity factor we can expect the wind farm extension to produce 1370 kWh per minute, 722 million kWh per year, or over the 25-year life of the wind farm, it would be 18 billion kWh. That is a lot considering that it’s only coming from 32 turbines! Electricity in the UK has an emission factor of 0.41 kg CO2e/kWh. From previous studies of offshore wind farms, Vestas estimated the embodied greenhouse gas emissions associated with the whole life cycle to be less than 0.01 kg CO2e/kWh (that is less than 10g/kWh). Vestas hasn’t published the figures for their latest 8MW offshore wind turbines yet so let’s play devil’s advocate and double it to 0.02 kg CO2e/kWh, even though economies of scale should mean that these 8MW turbines would have even lower emissions per kWh. Based on these estimates the Burbo Bank wind farm extension could save 0.39 kg CO2e of greenhouse gas emissions per kWh of electricity produced compared to the current UK grid mix. How much greenhouse gas emissions does the wind farm extension save? In one minute the wind farm saves on average 530 kg CO2e of greenhouse gas emissions (1370kWh/minute * 0.39 kg/kWh, rounded down). So how does it measure up? The wind farm would have had to operate for just 73 seconds to mitigate the greenhouse gas emissions produced from the one-hour helicopter flight. This is just 13 revolutions of the wind turbines blades. It is likely the Fully Charged team would have spent more time patiently waiting for the helicopter to be prepared before take-off. So in the context of this wind farm, and in the interest of promoting the benefits of wind energy to a wider audience, the emissions from the helicopter trip turn out to be more molehill than a mountain.